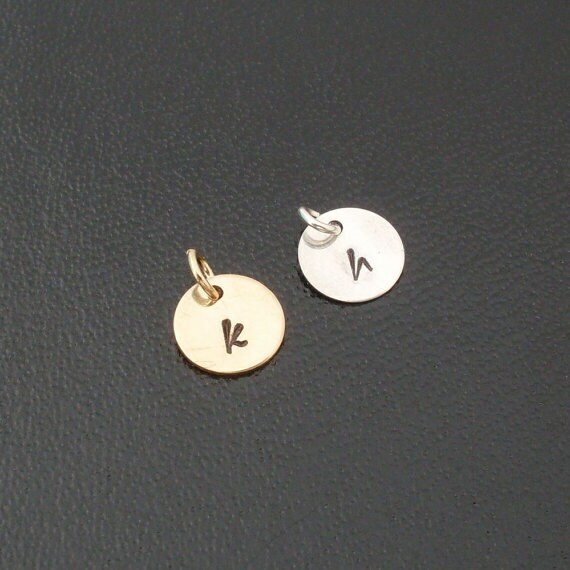 This tiny gold filled or sterling silver circle charm, hand stamped with your choice of lowercase initial is the perfect way to personalize any bangle in my shop! 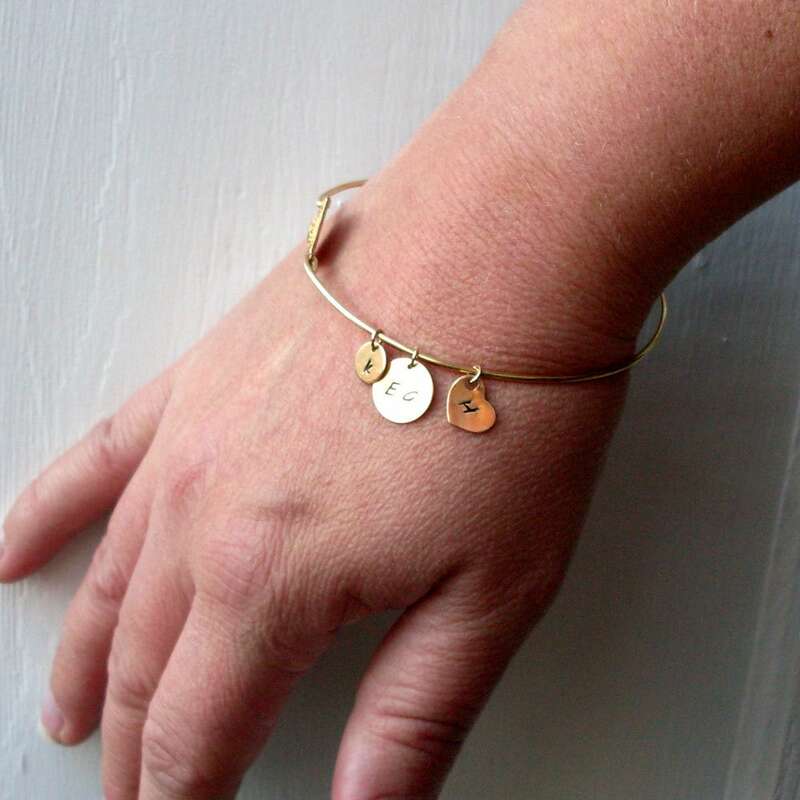 These little charms jingle freely on the wire band of my bangles and add a very personal touch to them. THIS LISTING IS FOR ONE SMALL LETTER CHARM, as seen in the first picture. 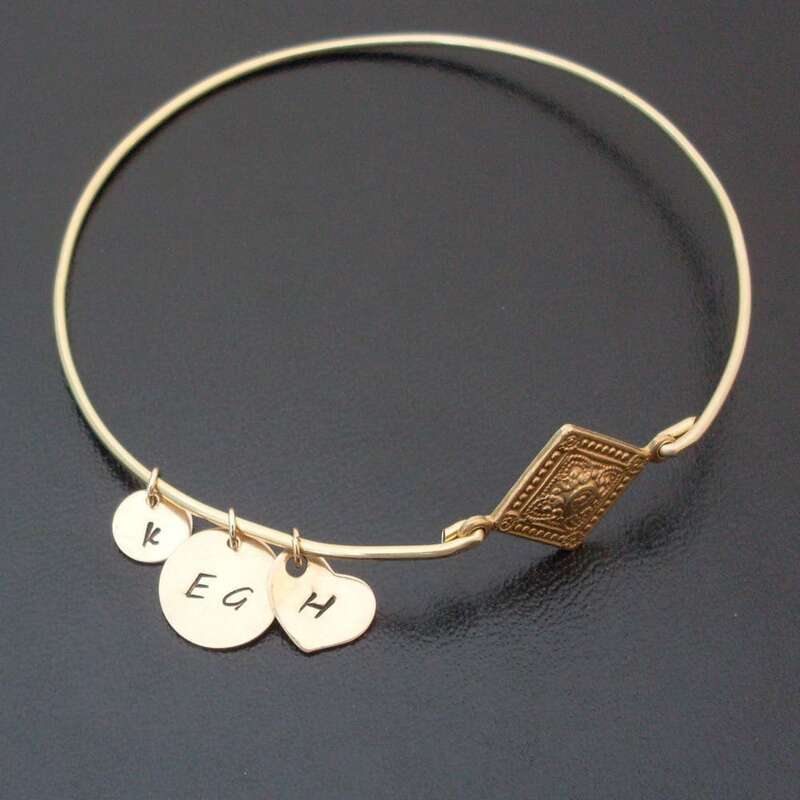 Add this item to your cart and make a note during checkout as to which letter you'd like on which bangle. Add as many to your cart as you need charms. The size of this small sterling silver charm is 7mm on a 4mm sterling silver jump ring. 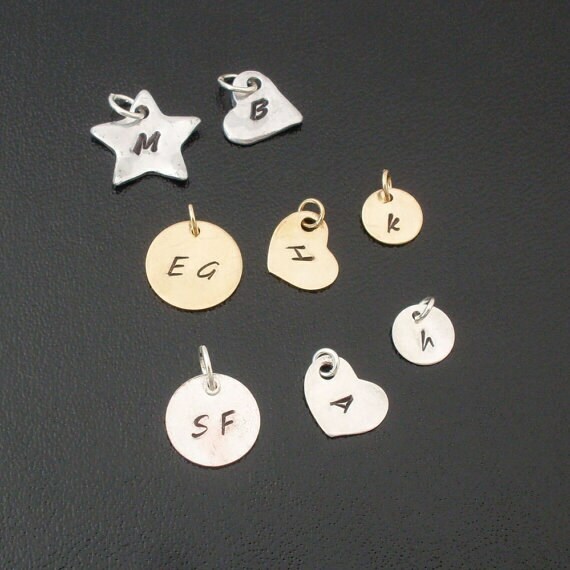 The last picture shows all other charms available in my shop to add to any bangle or necklace.